Location: We are currently hiring organizers in Dudley NC, Toledo OH, and Monterrey MX. The Farm Labor Organizing Committee (FLOC) is both a social movement and a labor union. Our immediate constituency is migrant workers in the agricultural industry, but we are also involved with immigrant workers, Latinos, our local communities, and national and international coalitions concerned with justice. 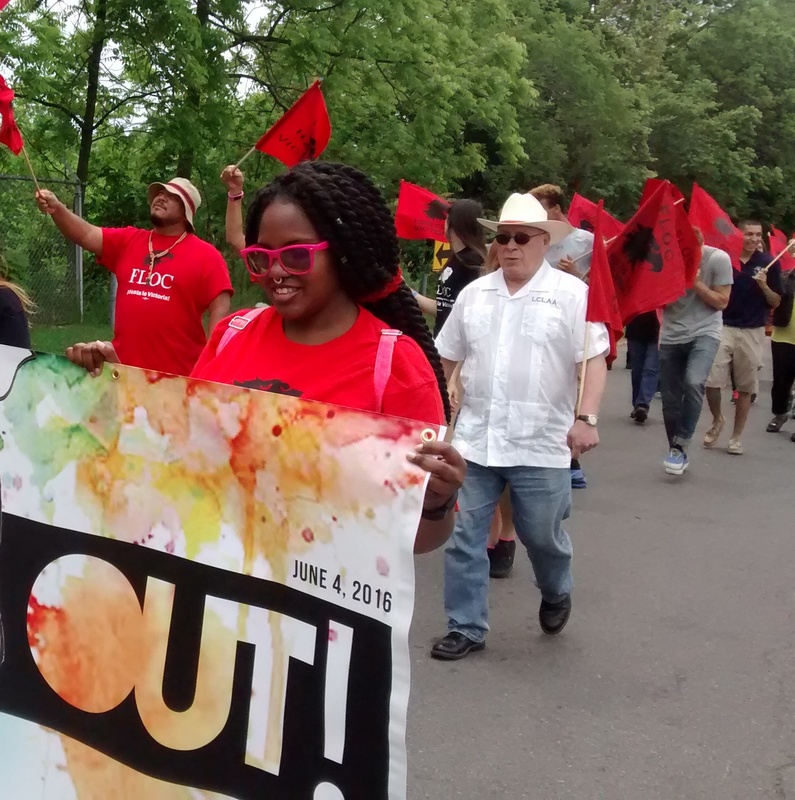 FLOC was founded in 1967 to organize for economic, legal and human rights for farmworkers in the Midwest, and now represents more than 10,000 farmworkers in Ohio, North and South Carolina. In 2007 FLOC began a campaign targeting Reynolds American, Inc., the second largest tobacco company in the US, for their complicity in the abuses of farmworkers who harvest their company’s tobacco. FLOC continues to raise awareness of these problems and build support among farmworkers and community allies until Reynolds acknowledges their role in ensuring fair wages and safe and healthy living conditions for all farmworkers harvesting tobacco. General Position Summary: *Position is for a three month organizing apprenticeship, with possible offer of full time employment after three month period and evaluation* Field staff will be responsible for visiting labor camps, responding to member calls, recruiting new members, investigating and resolving union members’ complaints, conducting labor rights training, organizing regional membership meetings, as well as related administrative tasks and coordinating public actions, as needed to support workplace actions. How to apply: Applications will be accepted until position is filled. Please send a cover letter and resume to Justin Flores at jflores@floc.com. In your cover letter, please mention in which location you are interested in working. Compensation: Apprentice will be paid $1,000 per 15 day pay period.After Apprentice period, if full-time position is offered,salary ranges from $26,000-$30,000 per year within first year with annual evaluation and potential increase thereafter; full health care benefits and generous vacation policy. Three month training period, followed by evaluation will occur before a full-time position is offered. Next Post:Add your name to #RaisetheWage in NC!